This much I know - Terrence Malick is not a crank. 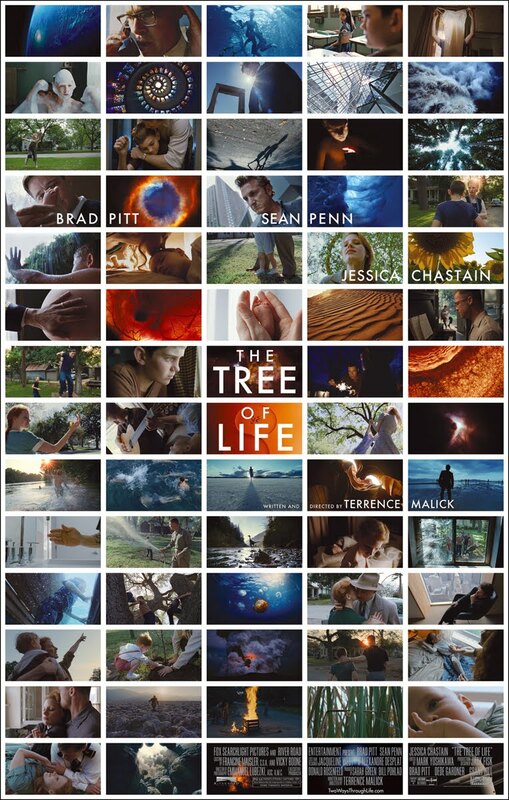 Though the famously deliberate director is approaching 70 years of age with no more than 5 feature films to his credit, The Tree of Life is not the work of a lion in winter. It's an experiment with the methods of storytelling (with a fair share borrowed from the masters of the French New [Old?] Wave) and a stellar representation of the mutable limits of the film medium. Much has been said about how The Tree of Life has not lived up to some people's expectations of it as a "movie." But what truly has more cinematic imagination? Malick's unabashedly philosophical and visually arresting ramble, or a predictable assemblage of stock character types and simple moralizing? There is no need for Tree to be a "real movie" when the movies haven't been interested in realism for decades. In brief, the film follows a boy, Jack (Hunter McCracken), as he grows up in 1950s Waco, Texas, with his stern father (Brad Pitt), his more permissive mother (Jessica Chastain), and his two younger brothers. The coding of these characters isn't subtle - Pitt is hardworking but covetous and balances a heavy chip on his shoulder, Chastain exists in a constant ethereal glow of grace and affection - but then neither is their combined effect on Jack. From his birth through his adolescence, Jack is introduced to new worlds of love, pain, violence, and independence in a loosely linear stream of recollections from his adult self (Sean Penn). As if this weren't ambitious enough, Malick adds a sequences exploring the same developmental span in the life of planet Earth, progressing from cosmic gases to microbes to dinosaurs. We receive this prehistory lecture presumably as a response to Chastain's plea to God for explanation when tragedy visits her family the film's first 10 minutes. The comparison isn't as intuitive as Malick assumes it is - a somewhat clumsy, almost literal equivalent of an educational short from a gasoline corporation that transitions from ancient animals dying in the mud to a fleet of Macks idling at a diesel filling station. Though it's not an egregiously long diversion, it is representative of the movie's sacrifice of specificity in favor of addressing the Big Questions. 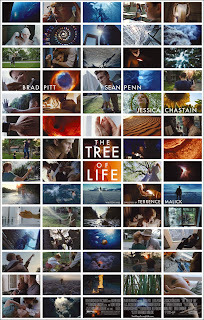 All that said, The Tree of Life is still very rewarding to the patient viewer. I couldn't get over how quiet it was where I screened it - not just the movie, but the audience. They were letting their minds wander, or struggling to translate the narrative into more conventional terms, or inviting the movie to wash over them like a dream. I did all three at different points in the film, and I suspect that this is a major part of the intended experience. Malick has never made movies for his own benefit but this one is aggressively without agenda, directly addressing his audience with a story that is simultaneously designed to confound it. Life is completely what you make of it.